It all started when a man from the banned terrorist outfit ASWJ claimed a meeting and ‘exchanging of views’ with the army man in a photo he tweeted. 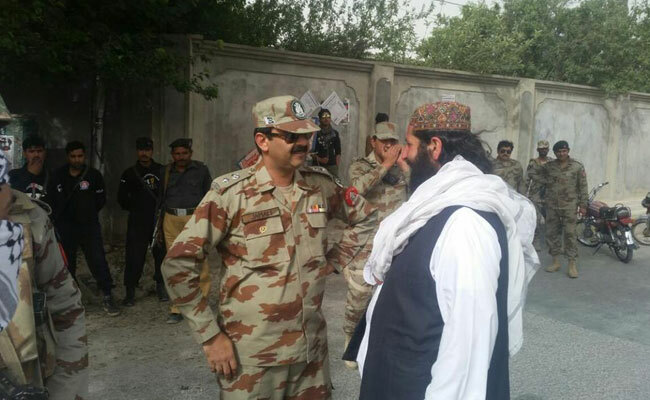 In the misleading caption he wrote: “Military leadership and ASWJ leadership exchanging views in Quetta”. I’m the officer whose pic (in a tweet) you shared. It can be expected from ASWJ to post such tweets but not from a person like you. I admire you for what you are doing. At that moment I was telling that fellow not enter red zone and take law in their hands. If they think it was ‘tabadla e khayal’ I can understand, but not from person of your caliber. I would really appreciate if you take this post down. Thanks. The magic of digital media? Where people use it to create disinformation, it is also used to set the records straight.